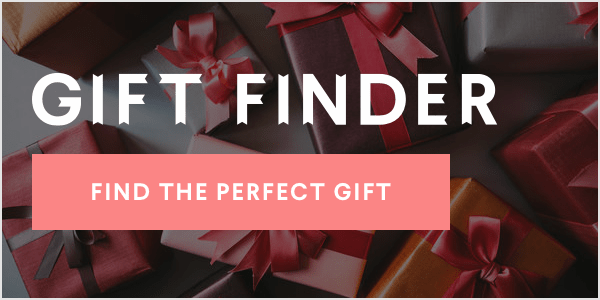 The gift of sight is one that I often take for granted. And while only a lucky few have perfect vision, many more of us have to resort to contact lenses and glasses, with the severely impaired resorting to surgeries, canes, and seeing eye dogs. Fortunately, when it comes to our eye health, things don't have to be entirely out of our control. Just as there are simple exercises I can do to relieve aches and pains, there are easy eye exercises I can do right at home to improve my eye health and, in some cases, even improve my vision! According to WebMD, "There are doctors who may recommend eye exercise for eyestrain, blurred vision, headaches, increased sensitivity to bright light, tired eyes, or difficulty sustaining attention." They continue, "Eye exercises are designed to strengthen the eye muscles, improve focusing [and] eye movements, and stimulate the vision center of the brain." And while those with serious eye troubles or impairments should always see a doctor, it's great to know that we might actually have some control over our vision and eye health. Scroll through this exclusive list of easy exercises below. It might sound crazy, but I'll personally be giving these a shot — it can't hurt! 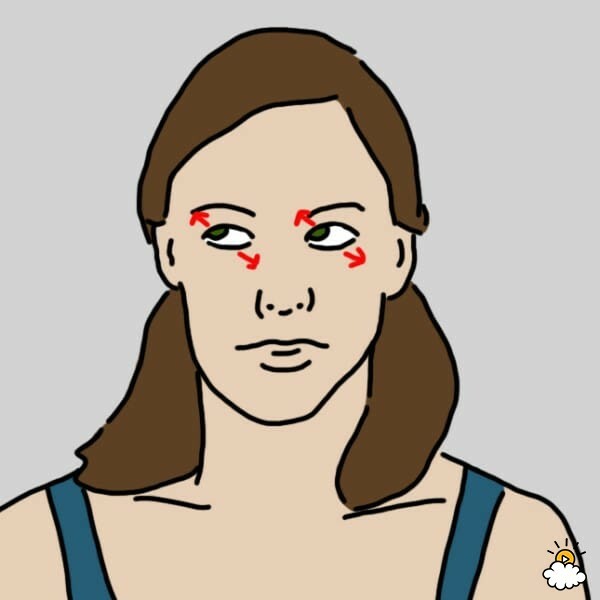 Will you be giving these eye exercises a try? Let us know in the comments. One extremely common, easy-to-do eye exercise is the eye roll. Slowly move your eyes in a circular motion, clockwise. Switch direction, slowly rotating your eyes counter-clockwise. SelfCarers.com shared this eye press exercise. Press the tips of several fingers against your upper eyelids using light pressure. Steven Aitchison, author of the book 100 Ways to Develop Your Mind, shared this exercise he calls "near and far focusing". 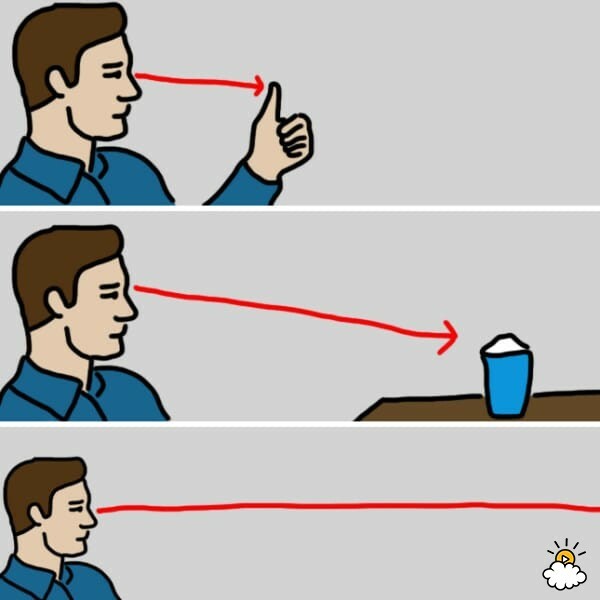 Focus on your thumb about 10 inches in front of your face. Drop your thumb and focus on an object about 10 feet in front of you. Switch focus to an object 30 feet in front of you. Return focus to the object 10 feet away. Raise your thumb to 10 inches away and re-focus on it. Another common eye exercise may seem familiar from anytime you've had an eye exam. Slowly raise your eyes until you are looking as far up as possible. Slowly lower your eyes until you are looking as far down as possible. Return your eyes to center. 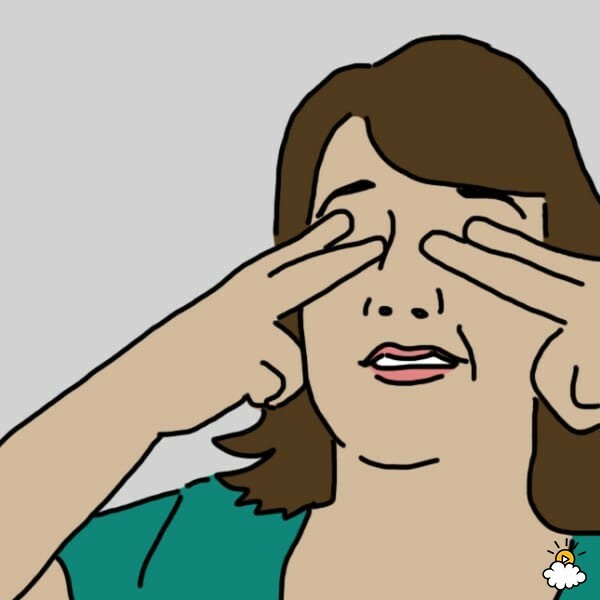 Similar to the "Eye Raise" is the "Side-Eye" exercise. Slowly shift your eyes until you are looking as far to the right as possible. Slowly shift your eyes until you are looking as far to the left as possible. HealthyAndNaturalWorld.com shared this "diagonal vision exercise." Slowly shift your eyes diagonally up until you are looking up and to the right. Repeat five times on this diagonal. Switch to the opposite diagonal and repeat five times. Dr. Mao Shing Ni shared this exercise with the Dr. Oz Show. Hold a pencil straight out in front of you at arm's length. Focus your eyes on the pencil. 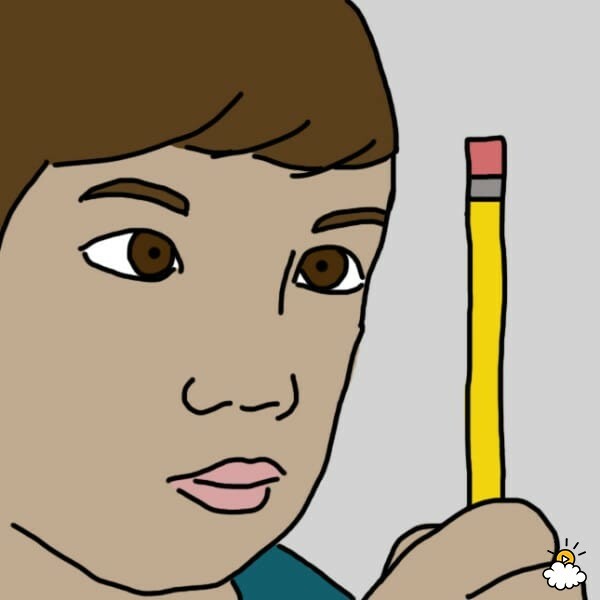 Slowly draw the pencil towards your body, holding your focus on it until it is six inches from your face. Reverse direction and slowly extend your arm back to the start, keeping your focus on the pencil. Another quite simple way to exercise the eyes is to trace letters. Allow a word to come to mind. Visualize the first letter of the word out in front of you. Trace this imaginary letter with your eyes. Repeat with each letter of the word. For an extreme exercise, visualize and trace the entire alphabet. One great eye workout is the exercise known as the "Wide Eye." Facing straight ahead, squint your eyes as much as possible. Hold this squint for five seconds. Open your eyes as wide as possible. 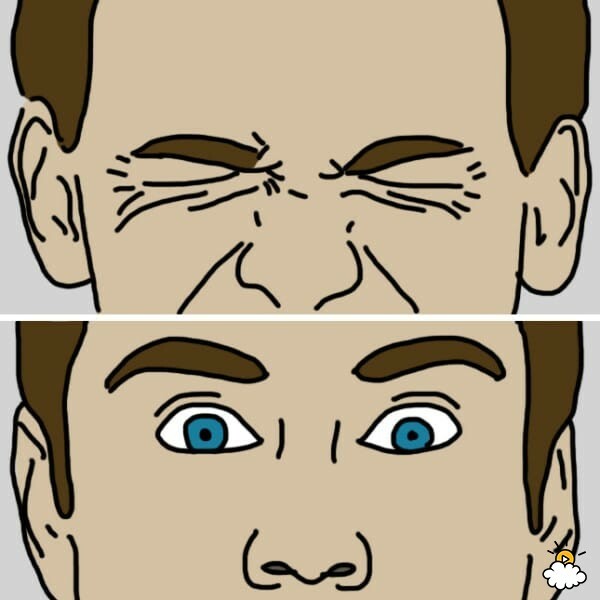 This "Figure Eight" exercise works the muscles differently by moving the head and keeping the eyes in place. Stare at a fixed object straight ahead. Move the head in a figure eight pattern, keeping the eye focused on the object. Switch eyes and perform 10 figure eights. These incredible eye exercises are so easy to perform, and can have incredible benefits for your vision and overall eye health. Will you be trying out these exercises at home? Let us know in the comments. Please SHARE these important tips with friends and family! Eight easy ways to instantly feel happy in your own skin!